Ladies of London continues its tour of Mapperton this week – on land, on sea, on the precarious tip of Julie Montagu’s metaphorical headstand – and proceeds to devolve into a hotter mess, unfortunately. 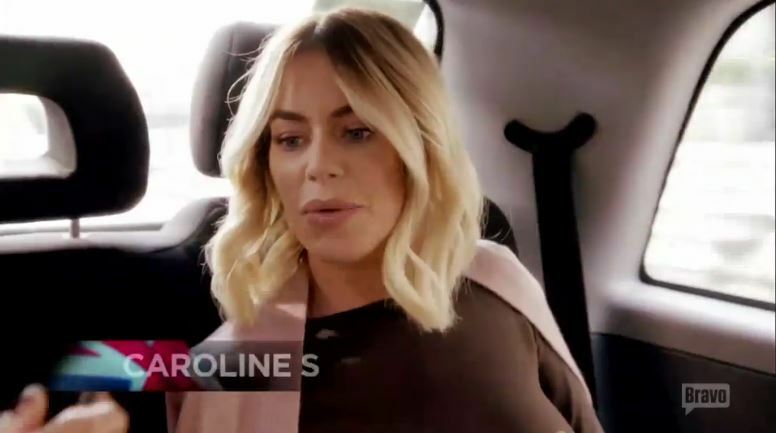 For Caroline Stanbury, who stormed out of Julie’s dinner last week after having enough of Adela King’s confrontations, the trip also marks a turning point in her relationship with this group of women – especially with former allies, Adela and Sophie Stanbury. We pick up just after Caroline has run out to Luke’s waiting car. Juliet Angus, of course, follows her out – hoping to…what? Live-trap her on the front lawn? But Caroline Fleming couldn’t care less! She’s just interested in eating, and eating is what the Baroness shall do! Juliet decides she’ll grandstand with Caroline, so she’s leaving too. Even Julie coming out to extend an olive branch doesn’t work. Caroline is leaving, and that’s that. She sees Adela and Sophie as traitors, with only Juliet in her corner at this point. Julie is just impressed with herself for not bawling uncontrollably. Progress! It’s no secret that Caroline Stanbury has been the unchallenged HBIC on Ladies Of London since its debut season. But is Julie Montagu trying to rip the Queen Bee crown from her perfectly coiffed head this year? Caroline and perpetual hanger-on Juliet Angus seem to think so. Although Caroline argues that she did not give herself the royal status on Ladies of London – the viewers did! Have you heard of Mapperton? No? Really? Well, let Julie Montagu introduce you to it for the thousandth time! Hear ye, Hear ye! Let it be known throughout the kingdom that Mapperton is a magical place of stables and gardens and struggling gift shops, the hopes of which reside precariously upon the shaky shoulders of the future Sandwich Countess! Er, Countess of Sandwich. Otherwise known as Julie, the unofficial Ladies Of London town crier. 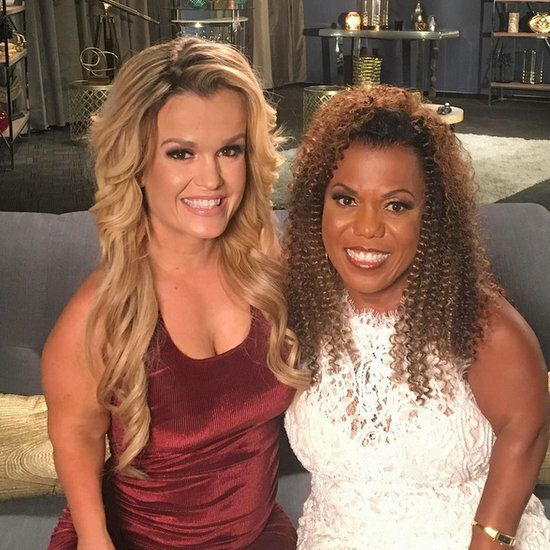 Although Julie is quite impressed with her estate and the aristocratic glitter dust that comes with it, Caroline Stanbury is certainly not – nor is she impressed with those who do pledge allegiance to Julie’s schemes and delusions. Thus, when the ladies visit Mapperton this week, Julie and long time (soon to be former?) friend Adela King are caught in the cross hairs of Caroline’s wrath. As Ladies of London rolled on last night, I couldn’t help but wondering: Why can’t I have Caroline Stanbury’s life? Her Dubai closet? Her wicked laugh at the jealous mob at her feet? And, conversely, why is she hell bent on making everyone else’s so miserable? It’s the enigma of Caroline, who I will admit right here and now: I love – but mildly hate too. She is the perfect reality TV persona. It’s been one week since Marissa Hermer’s surgery, which produced little bundle of beautiful pink sweetness: Baby Sadie. 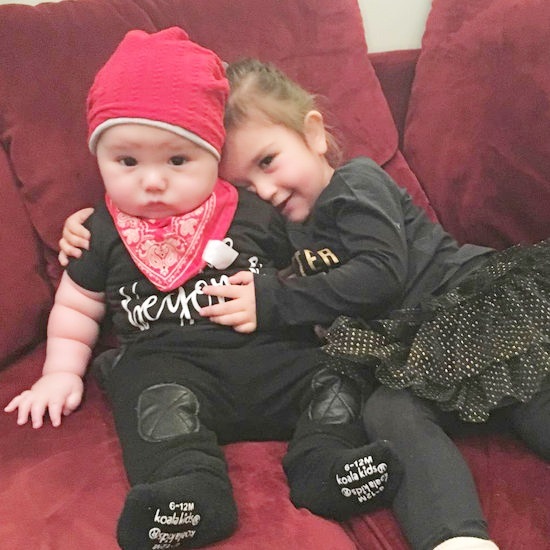 Marissa lost a lot of blood and fought through a long surgery after birth, but she’s okay. And so is her daughter – her first after two sons. Despite the fear and pain, she and husband Matt would do it all over again to have their daughter in their arms. Juliet Angus, Caroline Fleming, Marissa Hermer, Julie Montagu and Caroline Stanbury are back this season to vie for their spot as rightful Queen. Soon to be ex-sister in law of Caroline S, Sophie Stanbury, and new castmate Adela King (long time friend of Caroline S) have also joined the ladies for a frolic across the pond. So, let’s dive in!